Gary wins on the Henry Davis trained You're Kidding at Eagle Farm. The former jockey has been a fixture on the Sky service for 21 years, the last five on a full time basis.He travels a massive 100,000 kms a year from his Ballina base, covering meetings at 15 different tracks. The 58 year old, is always on the job well before the first race, checking out track conditions, and keeping his ear to the ground for any snippet of information that might help him steer followers onto a winner. Three things stand out in Gary Kliese’s pre race segments. He has a very obvious passion for the racing game, a keen eye for the fitness levels of a racehorse, and an understanding of the racing characteristics of horses he sees regularly. As much as he loves his job, there are bittersweet memories of the shocking accident that forced him into a new career. That accident occurred twenty years, and 1000 winners after he gained an apprenticeship with Bruce McLachlan at Eagle Farm. The trainer, a former policeman at Mt. Isa, was just starting to gain a foothold in a training career that would take him to 16 Brisbane metro premierships. “I’ll never forget my years with Bruce”, recalled Gary this week. “He was pretty tough, and expected everyone to work as hard as he did, but he was very fair”. Bimba eventually gave all that nonsense away, and won several races including one at Randwick with Peter Cook in the saddle. Gary was wildly excited when McLachlan told him he could also ride Dancing Years at the Gold Coast meeting. “Two rides on my first day, was more than I could get my head around”, said Gary with a sparkle in his eye. It poured right through the Friday night, and the Club decided to switch the meeting to the inside sand track, which had been in operation since 1946. “I was devastated when Bruce told me he was going to scratch Bimba, because she was too valuable to risk on an unknown surface”, Kliese recalled. Gary's very first ride was a winner! Dancing Years returns to scale. Dancing Years, on the other hand, fairly flew on the sand track and won by a whopping seventeen and three quarter lengths. Only 18 months into his riding career, young Kliese suffered an unimaginable setback, when he rode a grey gelding called Better Time at a Gold Coast meeting. The horse was owned and trained by veterinarian Henry Hengge, who explained that Better Time appeared to be over a bowed tendon. “I knew there was something wrong when we’d gone 100 metres”, reflected Gary. “He felt terrible, and his action was all over the place. I just let him balance up and next thing we’re a mile back in the field. I rode him out in the straight, but he never got into the race”. Gary wasn’t concerned when Stewards quizzed him as to why he got so far back. He simply told them about Better Time’s soundness issues, and the roughness of his action. “I couldn’t believe it when they gave me 12 months for not allowing the horse to run on its merits”, he said this week. “I appealed immediately and it was reduced to 6 months disqualification, and 6 months suspension, which allowed me to ride trackwork for the last half “. When that time came, Gary accepted an offer from legendary trainer Fred Best to ride work for the stable, with a guarantee of race rides later. Trainer Brian Wakefield made a similar offer. During the first six months, Gary worked early mornings on a stud farm at Caboolture owned by his parents Kevin and Pat Kliese. He then reported for duty at a local sawmill, where he was employed five days a week. He’d been advised by the QTC that a 1 month remission of his sentence was being considered. The verdict was to be handed down on a Friday afternoon, and Brian Wakefield had deliberately not paid up for a rider on Arrow King, the following day. “Word came through that my sentence had been reduced by 1 month, and Brian immediately put me on Arrow King”, said Kliese. “Somebody put me on another horse in a late race at the Coast, and suddenly I was a jockey again”. Gary won the first race at Eagle Farm on Arrow King, after which his parents drove him straight to the Gold Coast for his second commitment. “I can’t remember the name of the horse, and I can’t remember the name of the trainer, but it also got home, and a fairy tale day was complete” recalled Kliese with a chuckle. To this day he rates Henry Davis as one of the most astute trainers he ever knew.”He put me on The Irishman one day in a 1400 metre Maiden at Eagle Farm, and from barrier 18, I thought he had a huge task”, said Gary. “I was stunned when he told me to forget about the barrier, and just go out there and win. I forget the winning margin, but it was huge”. Gary legs his late brother Raymond up during track work at Eagle Farm. 1981 was a big year for twenty one year old Gary Kliese. He married his sweetheart Jenny Powell, and decided on a major change of career direction. “Brisbane was bursting with top jockeys, and I knew opportunities were going to be very limited”, he said.”Mick Dittman, Graham Cook and Doug Messingham were all flying, with apprentices like Gavan Duffy and Shane Scriven starting to make their presence felt”. The newlyweds settled on Ballina as their new home, and they’re still there today. Ballina had its own race club, and is situated within comfortable reach of several other strong racing centres. Gary and Jenny have watched two sons grow up in the district, and are very proud of both. Luke and Brad were always going to be too big to make jockeys, but have shown an affinity with horses in different ways. Brad has proven to be a very capable breaker of young horses, and Luke is a master of the campdrafting art. After arriving in Ballina, Gary started riding trackwork for local trainers Kevin Nipperess and Bill Pholi, and it wasn’t long before race rides were coming his way. He became a regular on the Northern Rivers circuit, and quickly established himself as one of the best riders in the region. Lady Luck is a fickle old girl, and she seems to be more active in the racing game than any other. She completely shunned Gary Kliese one day when he rode a horse for trainer George Reid, in a 900 metre “scamper” at Murwillumbah.”I can’t remember the horse’s name, but I remember everything else that happened”, said the former jockey this week. “I drew barrier 1, and looked like leading, when something from a wide barrier hurtled across way too sharply, and took my front legs. I landed on my right knee, causing irreparable damage to the knee cap. They actually removed the kneecap, and to this day I live without it”. It took the hardy Kliese twelve months to get over that one. He slowly gained strength in the muscles, tendons and ligaments surrounding the knee, and, to his delight, still had full flexion. First NRRA Premiership Season 1986/1987. "Winners are Grinners"
He returned to the saddle with renewed energy, and fierce resolve. Although the season was two months in, Gary set about riding winners and enjoyed the most amazing run. He seemed to ride a winner or two everywhere he went, and as the season drew to a close, it was apparent G.Kliese was going to stage a grandstand finish to win the NRRA premiership. 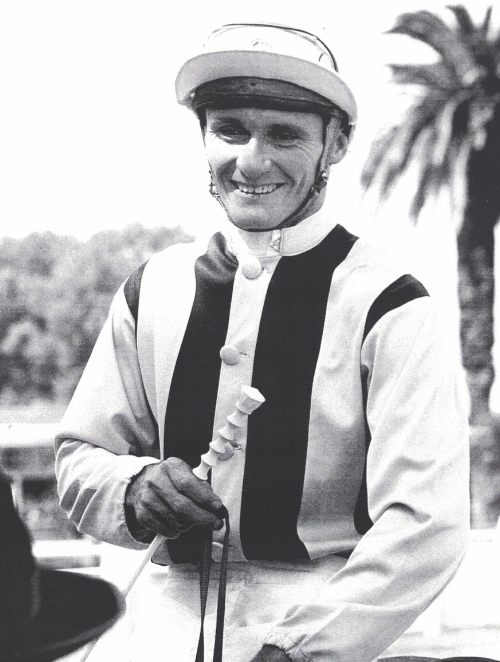 He was champion jockey with 64.5 winners, and he achieved that milestone in just 10 months of the racing season. He was away to a good start in the new season, and well on track for a second premiership, when a million-to-one accident occurred in near darkness at the Ballina track. Gary was galloping a horse for trainer Bill Pholi, unaware that another horse had dislodged its rider in the back straight. The runaway had turned around and was galloping back in the opposite direction. “I didn’t see it, until it was two strides off me”, said Gary with a grimace.”Both horses were travelling pretty quickly, and the impact was sickening. My right leg, already missing a kneecap, was broken in goodness knows how many places, and I couldn’t believe my rotten luck”. Gary spent one more year on the sidelines, during which time he underwent three surgical procedures. The only piece of good luck he had during both ordeals, was to have the services of Dr. Neil Thompson, a distinguished orthopedic surgeon, who was semi retired, and spending a lot of time on the northern rivers. In the expert hands of Doctor Thompson, jockey Kliese made astonishing progress, and soon his comeback was imminent. Over the next few years another two NRRA premierships went his way, and his reputation as an honest, reliable professional jockey, was set in stone. In that era the Coff’s Harbour Cup carnival embraced three days, finishing with a non TAB fixture on the Saturday. Kliese had rides on all three days, but regarded the Bill Pholi trained Commentator his best chance on the final day. He even went to the trouble of driving back to Ballina to work the horse on the Thursday morning. 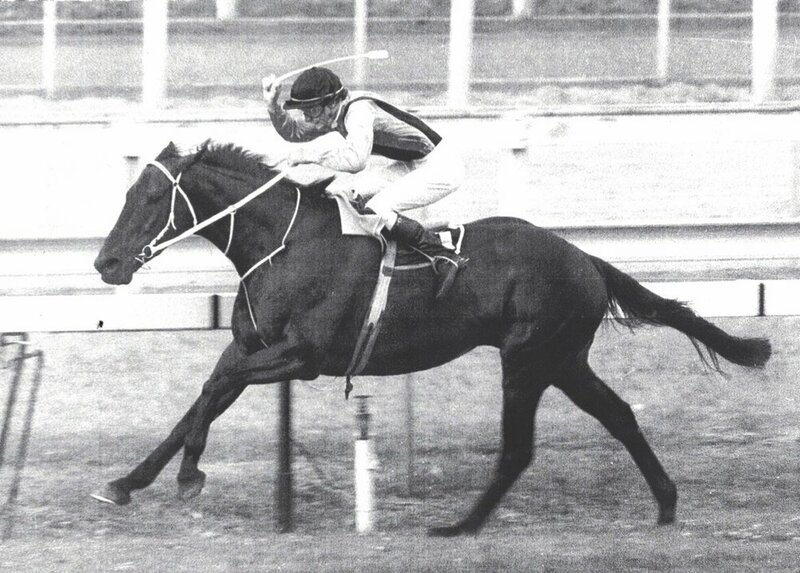 When Commentator got beaten in an early race, Gary was wishing he hadn’t accepted a pick up ride on Lukawae for trainer Brett Bellamy, in a later race. Coming to the hometurn in the 1000m Maiden, Gary’s spirits were much higher when Lukawae was “bolting” behind two leaders. “I honestly though he would go straight past the leaders, when he suddenly stumbled, and went down as though someone had cut his legs off”, reflected Gary. “He had actually snapped a foreleg, and was down in a split second.Something behind crashed over the top of us, and landed right on top of me”. And so began an 18 month nightmare for the hapless Kliese. He had broken the C4 and C5 vertebrae near the base of the neck, and a spike was evident on the spinal cord. He lost feeling from the neck down, and was flown to the Princess Alexandra Hospital in Brisbane, where he spent 9 days in skull traction. Operation after operation followed, under the expert guidance of eminent neurosurgeon Dr. Glen Polgrain. Gary endured 18 long months of rehabilitation regularly visiting Dr. Polgrain, who emphatically informed the jockey that his riding days were over. At the same Medical Centre, Gary was introduced to former horse trainer Dr. Geoff Chapman who suggested he should contact Skychannel’s Graham McNeice, regarding possible employment as a Northern Rivers correspondent. “It took me weeks to pluck up the courage to call Graham”, Gary remembers vividly.”He gave me a good hearing, and told me that someone would be in touch down the track. Some time later, another member of the team John Walsh rang me, and said that they would give me an audition when Graham himself attended the upcoming Grafton Cup meeting. That was almost 21 years ago, and there’s no doubt the phone call to Graham, was the most important call of my life”. Gary’s good fortune in recent years, has been counterbalanced by personal tragedy. His elder sister Lorraine suffered a stroke and died at just 54 years of age, and his younger jockey brother Raymond took his own life just 6 months after his sister’s passing. 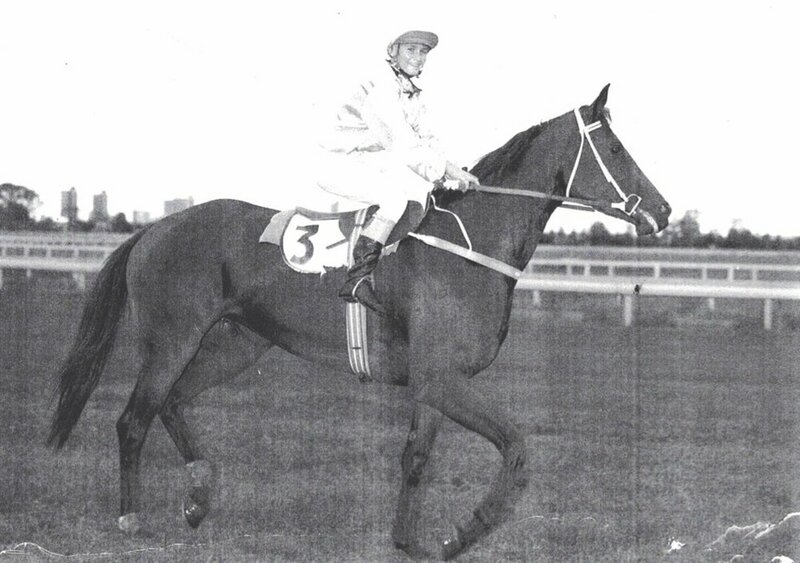 Another sister Narelle lives at Maroochydore, and brother Graham has been a very successful jockey in Northern Queensland. Currently getting over a broken leg, Graham is a multiple premiership winning rider in the North. Gary may have created a little piece of racing history in 2006 when he was elected Chairman of the Ballina Jockey Club Board- possibly the first ex jockey in Australia, to attain such a role. He spent three years as Chairman, and a total of eleven on the Committee. Gary Kliese is now a familiar friend to thousands of punters who tune into the vast Sky coverage. He’s ably assisted at many meetings by Priscilla Schmidt, another former jockey forced into premature retirement by several injuries. Priscilla has quickly picked up the fundamentals of presentation, and her mounting yard observations are widely appreciated by punters everywhere. Gary’s love of the racing game has driven him since the day he walked into Bruce McLachlan’s stables at Eagle Farm. It helped him through the gut wrenching disappointment of an unjust disqualification all those years ago. It helped him through the countless nights in hospital when the pain killers were struggling to do their job. It helped him through eighteen long months of rehabilitation, when he knew in his heart it was all over. Just watch him one day if you happen to be at a race meeting at Lismore,Ballina,Grafton, Coffs Harbour or any one of eleven other tracks. Watch his body language, as he takes in the sight of a field of thoroughbreds bouncing on their toes around the parade yard. Horses have hurt this little bloke pretty badly on occasions, but he holds no grudges. He loves ‘em to death, and he can’t wait to get on the air and tell the world about them.